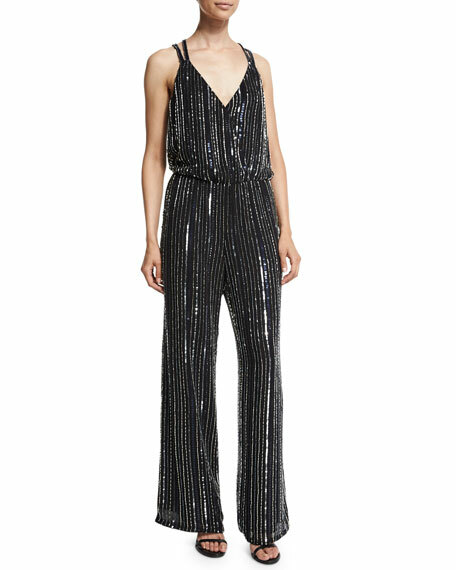 Parker "Donny" beaded and sequined jumpsuit. V neckline; racerback with keyhole. 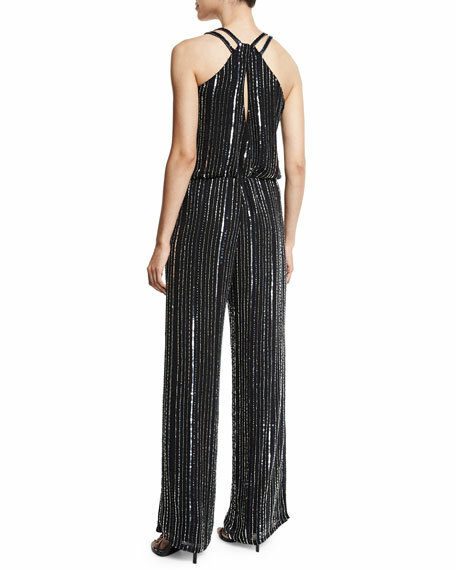 For in-store inquiries, use sku #1661569.